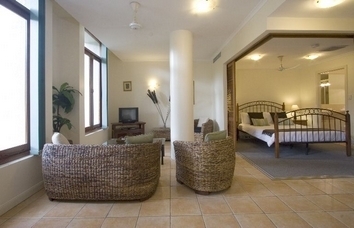 Conveniently located opposite the Sheraton Mirage Resort and just a short distance from the centre of town, The Mediterranean Port Douglas offers one, two and three bedroom quality spacious apartments. 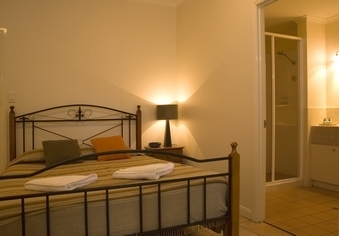 We also offer spacious studio (hotel style) suites. Our pool and BBQ are area has full sun all day and there is also plenty of shade! The Mediterranean Port Douglas offers a comfortable tropical atmosphere, with famous 4 Mile Beach just a short stroll away, and many restaurants within close proximity. The Mediterranean Port Douglas is the perfect spot to relax and from which to explore the natural wonders of the Great Barrier Reef and Daintree Rainforest. Very spacious unit with full facilities, perfect for a relaxing holiday! 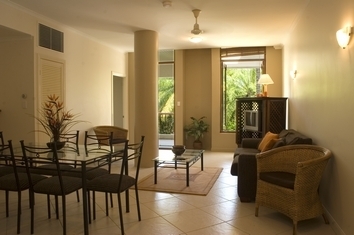 Very spacious 2 bedroom, 2 bathroom apartment with room to relax and enjoy the holiday! 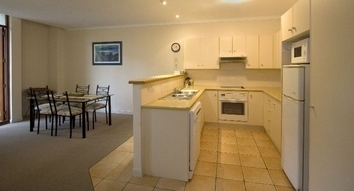 Very spacious 2 bedroom apartment with room for the whole family and friends to relax and enjoy the holiday! Room for family and friends. Very spacious apartment, perfect for a great holiday! Stay for minimum of 3 nights, inlcuding a Wednesday night, and you only pay $50 for the Wednesday night! Hotel style room. Tea/coffee making facilities only. No kitchen or laundry facilities. Great for a short stay away from home! Fax and other business facilities are available. Wireless internet is available in the reception area. Check-in is from 2.00pm. Reception is open daily, however if arriving late in the evening, please contact us (by email or telephone) prior to arrival to confirm check-in arrangements. Children are very welcome. Additional guests may be accommodated (subject to availability). Children 0-3 years are free of charge if using existing bedding configuration of room type. Otherwise an extra person charge of $26 per person per night will apply. Cots are available at $10 per night. Please advise if you require a rollaway bed or cot. Secure car parking is available at not charge. 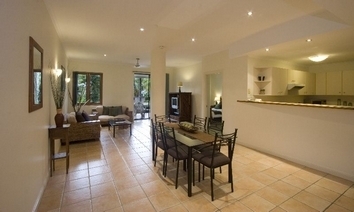 Port Douglas is approximately one hour drive from Cairns International Airport. Upon exiting the airport, turn right and follow the signs along the Captain Cook Highway to beautiful Port Douglas. Transfers to and from Cairns International Airport can be pre-arranged through The Mediterranean Port Douglas for your Convenience. Cost is $35.00 per adult (one-way) or $65.00 per adult (return) to drop you off at our door. Private vehicle transfers can also be arranged, price on application. Come and explore the Rainforest and the Reef! We provide complimentary tour booking service. Take a day trip to the Reef with one of the great local charter companies or spend a day exploring the Daintree Rainforest and Cape Tribulation. Each tour is different. Talk to us about the trip that would best suit your needs. 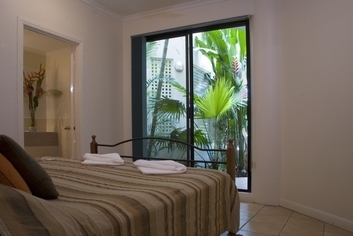 We are a short walk from the Beach and the cosmopolitan heart of Port Douglas, Macrossan Street. There is a great selection of restaurants and cafes close by. Everything from casual cafe dining through to five star dining experiences!